I 1988 blev hun slået til DBE og i 2005 modtog hun Order of the Companions of Honour. I juni 2011 blev hun fellow ved British Film Institute. ^ (Supplement) nr. 51171. s. 7. London Gazette. 30. december 1987. Hentet 29. august 2015. ^ (Supplement) nr. 57665. s. 4. London Gazette. 11. juni 2005. Hentet 29. august 2015. 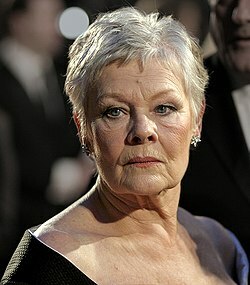 ^ Dame Judi Dench receives BFI fellowship. BBC News. 23. juni 2011. Hentet 29. august 2015.